Armoured Reconnaissance soldiers can be tasked with a variety of different tasks. Depending on the task, crewmen may employ different vehicles. 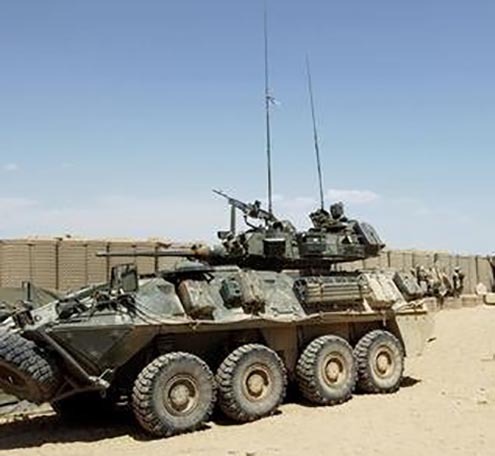 The TAPV was acquired with the view to perform a variety of battlefield roles, including but not limited to, reconnaissance, surveillance, security, command and control, cargo and as a protected troop transport. The vehicle’s mobility and crew protection characteristics enable it to be employed within a wide spectrum of potential operational environments. The TAPV will provide a very high degree of protection to the crew while remaining highly mobile. It is designed to tackle tough terrain in any environment, providing troops with a cross-country capability, and a greater flexibility in traversing various routes. The Department of National Defence will procure a total of 500 vehicles with final delivery expected in December 2017. There is also an option for an additional 100 vehicles. The TAPV will partially replace the Coyote Light Armoured Vehicle, completely replace the Armoured Patrol Vehicle RG-31 and complement the Light Utility Vehicle Wheeled. The first six Tactical Armoured Patrol Vehicles (TAPV) arrived at 5th Canadian Division Support Base Gagetown on Friday, August 12. The King’s Own holds Command and Reconnaissance variant only. The G Wagon is a light utility vehicle equipped with the latest technical innovations. 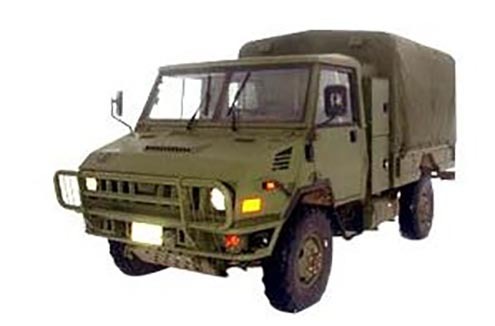 It is the vehicle of choice for military applications in armies around the world, including the United States, Germany, and France. 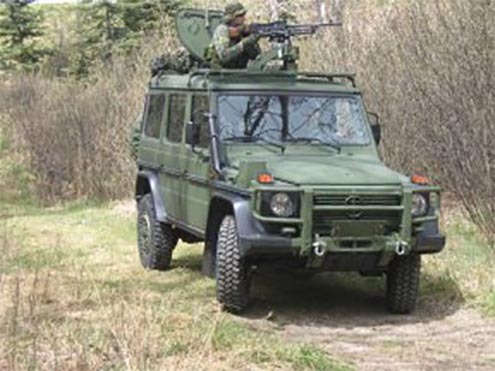 In the Canadian Forces, the G Wagon is used by operationally tasked field units and training establishments, by both the regular and reserve units, to provide tactical transport in the fields of command and control, liaison, reconnaissance and military police. 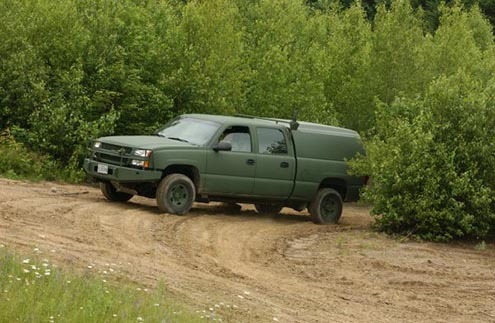 MILCOTS (Military / Commercial Off the Shelf): As part of the Light Utility Vehicle Wheeled (LUVW) fleet replacement, 1,061 militarized GM Silverado 2500HD 4×4 vehicles were purchased. The C2 is an updated Leopard 1A5, which was developed in Germany in the 1980s. This tank deploys with a crew of four, including a commander, a driver, a gunner and a radio operator/loader. The 105-mm L7A3 gun is capable of engaging targets day and night, while on the move under adverse weather conditions, through the use of a fully stabilized fire control system with an integrated thermal imaging system and laser range-finder. It has two 7.62-mm C6 machine guns. One is mounted inside the turret and another can be mounted externally. The Leopard C2 is also fitted with two banks of four smoke grenade launchers on the turret. 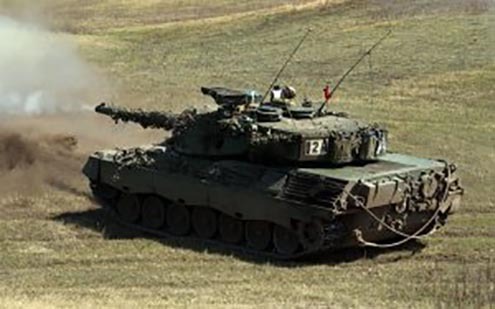 It is a minimum-maintenance armoured fighting vehicle and complete replacement of the engine and transmission is possible in 30 minutes under field conditions. When properly fitted with a conning tower, it is capable of deep-fording or submerged fording where riverbanks are prepared for exit and entry. The Leopard C2 was designed so it can be fitted with add-on armour and all of the new battlefield sensing and communication systems the Army plans to introduce over the next few years. 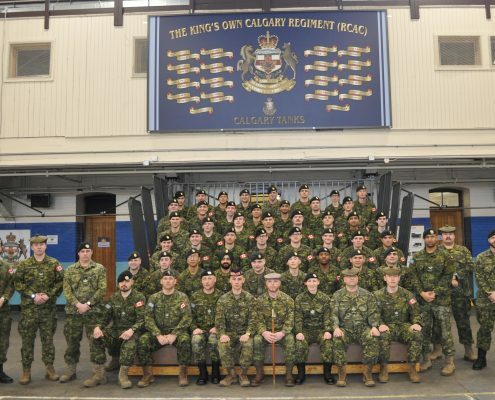 Of the 114 purchased, 66 remain in service. The Coyote is a vital component of the army’s leading-edge battlefield systems. This highly mobile, well-armed and well-protected reconnaissance variant of the Light Armoured Vehicle family is employed in the conduct of battlefield reconnaissance and surveillance missions at the battlegroup and brigade levels. 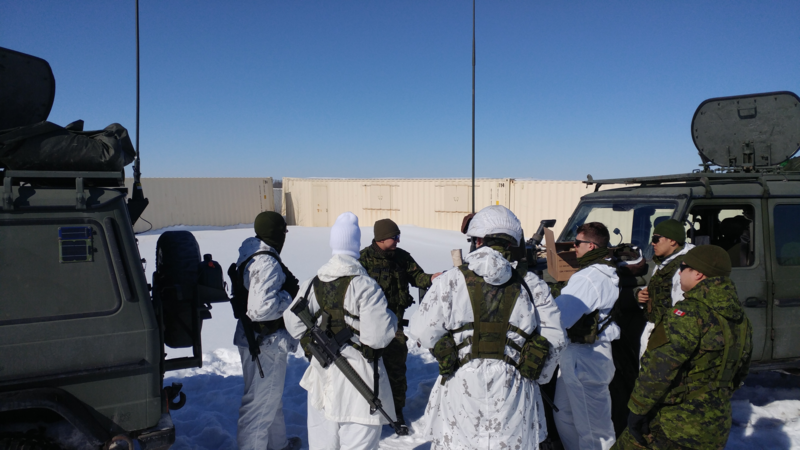 Incorporating both radar and a variety of electro-optic sensors, the Coyote surveillance system provides an all-weather, day and night observation capability. The most innovative aspect of the Coyote is its surveillance system, designed to detect hostile forces using a combination of day camera, radar, thermal imaging, and laser range-finding equipment. Designed to operate in the world’s hot spots, the Coyote is armed and armoured to fulfil its mission. The ballistic-steel hull protects against small-arms fire, mines and high-explosive airbursts. Add-on armour protects against larger projectiles. The two-man electric-drive turret is equipped with a laser-warning receiver. A fully stabilized 25-mm chain gun provides light assault firepower. On roads the vehicle’s maximum speed is 100 km/h, with a maximum range of 660 km. It can deploy quickly to an area accessible by roads or trails, and then continue cross-country. A mast-equipped version of the vehicle raises its surveillance gear 10 m above the ground to see hostile forces over obstacles and from protected positions. 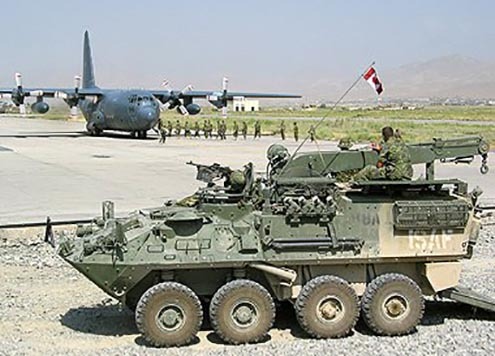 The LAV III is a state-of-the-art troop carrier that will serve the needs of mounted infantry well into the new century. The vehicle is well protected and can be used day and night, in all weather conditions, in battlefield smoke and on most types of terrain. 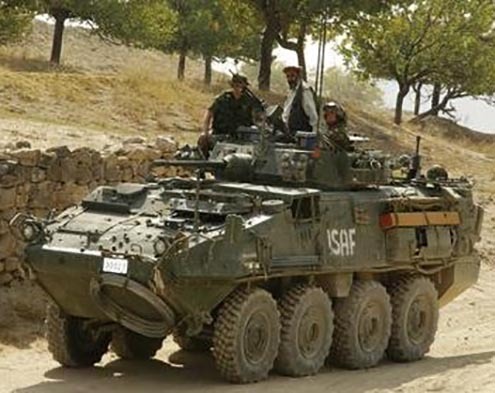 Capable of speeds of up to 100 kilometres per hour on roads, the LAV III will give the commander many more options in both combat and non-combat situations. For example the commander may choose to keep the troops mounted and protected while using the 25-mm stabilized cannon – an option not available in the past. The driver and the commander have display terminals for the Tactical Navigation System (TACNAV), as well as thermal viewers. The TACNAV links a Global Positioning System (GPS) with a digital magnetic compass and laser range finder. Good anti-mine performance and an automatic fire and explosion suppression system provide additional safety for the crew. When used as an infantry section carrier, the LAV III deploys with a vehicle commander, a gunner, a driver and seven infantry soldiers. When deployed as a Tactical Command Post, it carries six soldiers. Three other variants are being procured including a Forward Observation Officer (FOO), TOW Under Armour (TUA) and an Engineer variant. The Bison is an eight-wheeled armoured vehicle originally designed as an infantry section carrier. The Bisons are now being converted into support variants for the new Light Armoured Vehicles (LAV III). These variants will include Ambulance, Electronic Warfare, Mobile Repair Team, Maintenance and Recovery, and NBC Reconnaissance. The new variants will come equipped with an upgrade in engine power, new torsion bars, fittings for add-on armour, air conditioning, and the VRS respirator system for NBC defence. 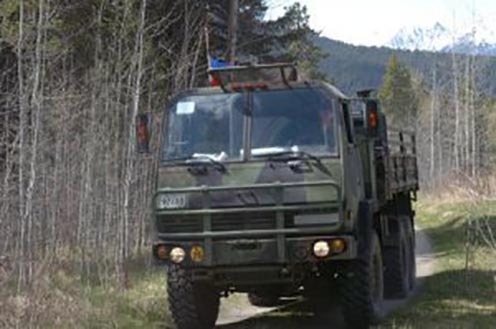 Delivery of the upgraded vehicles will take place in stages from 2002-2008. The Armoured Patrol Vehicle (APV) is a 4 x 4 wheeled armoured patrol vehicle designed to provide a high level of protection for troops while they conduct patrol, command and liaison, and reconnaissance tasks in complex urban and mountainous terrain. 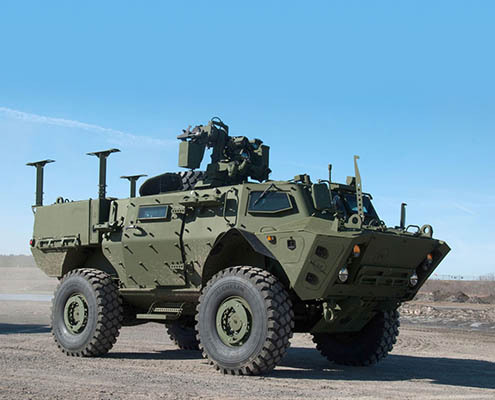 It is based on the RG-31 Mine-Protected Vehicle, from General Dynamics Land Systems – Canada. Fitted with bullet resistant windows and enhanced protection against both Improvised Explosive Devices and ballistic threats, the APV is specifically designed to resist under wheel and under belly mine strikes to enhance crew survivability. The APV also offers protection from small arms, hand grenades and anti-tank mines. The APV will incorporate a remote weapon station (RWS) for self-defence, permitting the operator to fire the weapon from within the vehicle while remaining protected. The RWS can mount a 7.62mm or 12.7mm machine gun, or a 40mm automatic grenade launcher. The RWS will incorporate a day/night sighting system that will also provide a mounted surveillance capability. In addition, the APV will be fitted with necessary communications equipment, a driver’s thermal viewer and hand-held sensors to provide a dismounted surveillance capability. The M113 is being refurbished and upgraded into nine new variants of mechanized support vehicles. The role of the new M113 variants is to provide the Army with combat support and combat service support vehicles to augment the new LAV III fleet. A total of 289 vehicles are being upgraded. 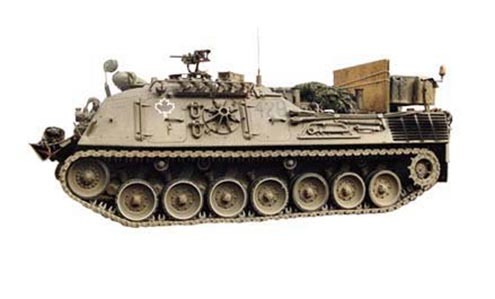 The remaining M113s will be declared surplus. This vehicle was originally used as a mechanized infantry section carrier. The first versions were purchased in the mid-1960’s; the last were delivered in 1991. A total of 1,143 vehicles were ordered during this period. The scope of the upgrade includes new engines, transmissions and drive trains; the provision of add-on armour; and the stretching of 147 vehicles to increase their capacity and mobility. 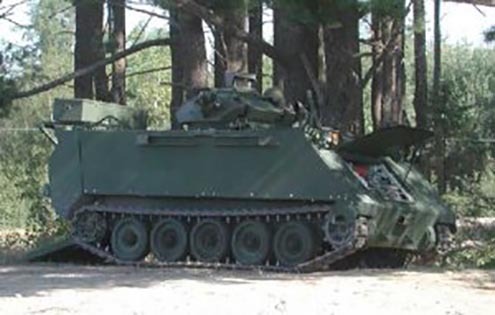 The M113’s original power pack provided a maximum of 210 horsepower, which limited the mobility and carrying capacity of the vehicle. A new power pack will be installed in all the refurbished vehicles, which will provide a maximum of 400 horsepower. 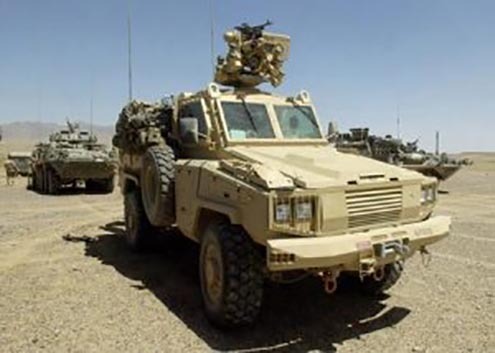 In addition to increasing mobility and cargo capacity, this upgrade in power will also allow an upgraded armour package to be installed on the vehicle. This will greatly enhance the protection afforded to Army soldiers deployed on overseas missions. Delivery of the upgraded M113s started in 2001, and will continue in stages. Final delivery will be complete by 2006. It is anticipated that the upgraded M113s will be in service until 2020. 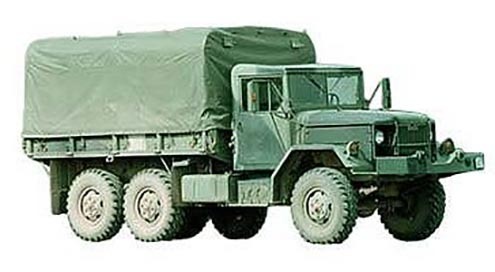 The HLVW provides the Army with a heavy lift transport capability. Eleven different variants of this vehicle are currently serving in the Canadian Forces. The Army uses the HLVW to help support a wide variety of missions including territorial defence, domestic emergencies, combat support and peacekeeping. Certain Canadian modifications were installed on the vehicle, including camouflage net storage for two nets behind the cab, cold weather starting equipment to allow starting at -40 degrees Celsius, brush guards for the cab front, a cargo bay walkway, and a radio installation kit based on a 24 volt system. The HLVW has a payload of 10 to 16 tonnes, depending on the variant. It can also operate in either four or six-wheel drive, making it suitable for both highway and field use.